Okay, not again – at breakfast at the Hampton Inn in White River Junction we met Evonne and Warren Waggoner who were from the Houston area, specifically, Kingwood. They traveled to Vermont to see their daughter graduate from Norwich University in Northfield, VT. Warren was also a Harley rider, however, this trip he was traveling by car. He recently returned from a motorcycle trip to Wyoming, Montana and Yellowstone. Here’s a shout out to Evonne and Warren. Hey! It was nice visiting with you both. Our travels took us to Hanover, NH, home of Dartmouth College. Dartmouth College was founded by Eleazar Wheelock, a Puritan minister from Columbia Connecticut in 1769, before the Declaration of Independence and Revolutionary War. Today it is the smallest private Ivy League research university. Overall, I found Hanover to be a very cool town and one I intend to visit again sometime. 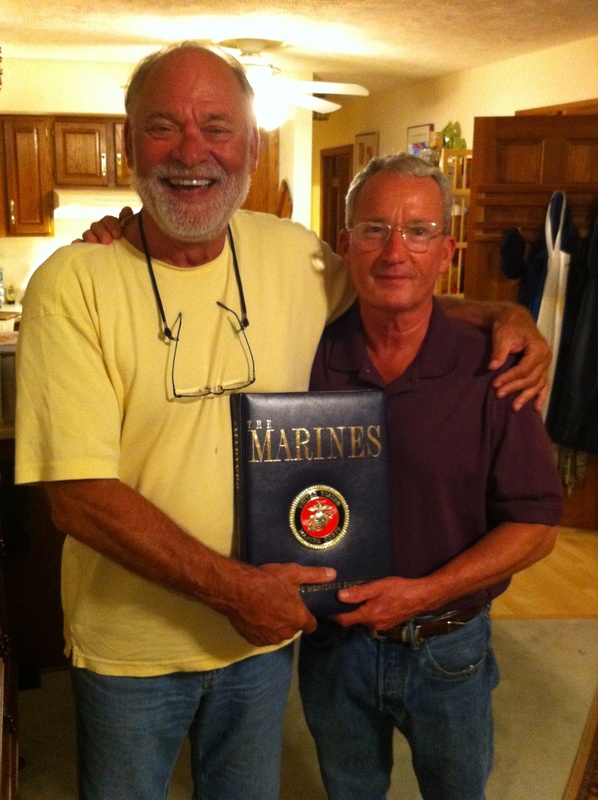 Frank and I had dinner at the home of retired Marine Corps lieutenant colonel, Neal Meier, who served in Vietnam with Frank. This entry was posted in On The Road Again and tagged hampton Inn, motorcycle blog, motorcycle travels, motorcycle trip, neal meier. Bookmark the permalink.